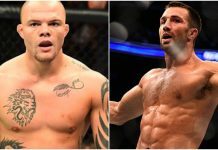 With respect to potential opponents for the yet-unscheduled retirement fight of former UFC middleweight champion Michael Bisping, a number of names have been mentioned, from Rashad Evans, to Vitor Belfort, to Lyoto Machida. Now, though, it’s looking like Bisping’s last – and probably final – challenge will come in the form of Luke Rockhold. Bisping has previously expressed interest in a tie-breaking trilogy fight with Rockhold, and on Monday’s edition of The MMA Hour, Rockhold revealed his mutual interest in the bout. 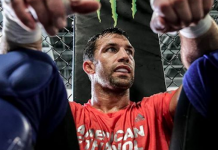 Rockhold, who has recently been flirting with a move up to the 205-pound light heavyweight division, also expressed interest in having this bout occur in this new weight class. 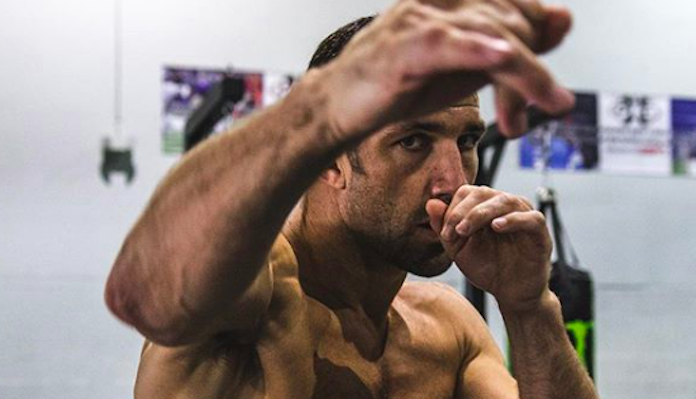 Whatever the case, Rockhold’s comments on the show indicate that the UFC is pressing forward with this plan. Rockhold and Bisping are 1-1 across two fights. Rockhold won the first bout, which occurred in 2014, with a second-round guillotine. Bisping won the second, a 2016 middleweight title fight, with an odds-defying first-round knockout. 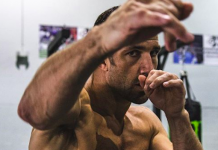 Would you be interested in seeing former middleweight champions Luke Rockhold and Michael Bisping fight for a third time – perhaps at light heavyweight? Join the conversation in the comments section! This article first appeared on BJPenn.com on 3/6/2018.